Happy New Year to all ex-workers and their families. 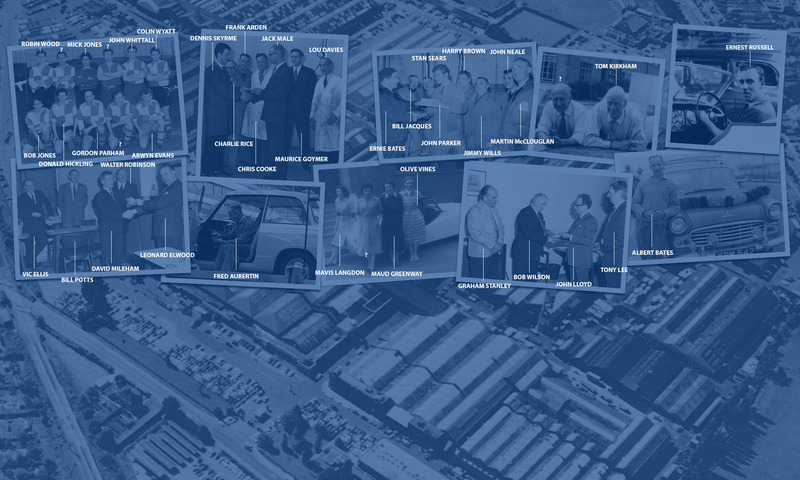 Here is a great photo from the Sales Department from the end of 1950. Sir John Black was Guest of Honour (he can be seen in the centre of this photo). 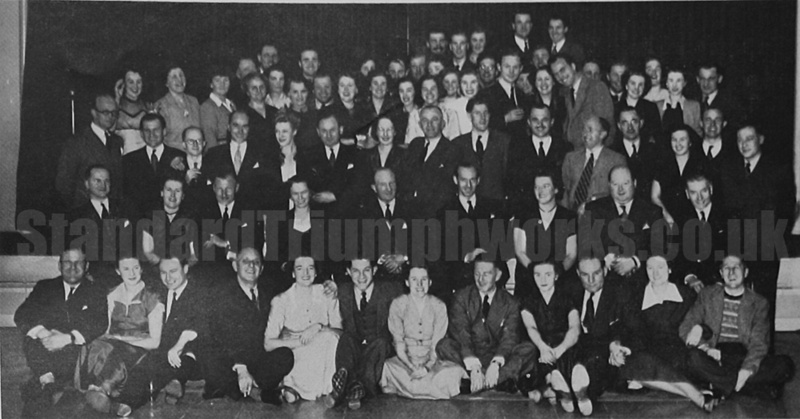 The Sales Division, including members from the London Export Office of The Standard Motor Co. Ltd., held their Annual Party at the Fletchamstead works of the Company on 29th December, 1950. On this occasion the celebration took the form of a New Year Party. Those present were particularly pleased that Sir John Black (Deputy Chairman and Managing Director) was able to spend the evening with them and take an active part in the entertaining programme of events. Mr. W. J. R. Warren (General Sales Manager) (Seen Right of JB), in a short speech of welcome to Sir John, thanked him on behalf of those present for his generous appreciation of the Staff by recently authorising an overall pay increase, and granting them all a longer annual holiday. In addition to a film show, dancing and a short comedy play (written and performed by members of the Sales Department) there were many amusing games. Highlight of the party was the ceremonial entry of the haggis. Sir John entering fully into the spirit of the evening, received the haggis from the “chef.” after it had been “piped” in by Pipe-Major Grey of the Standard Motors British Legion Pipe Band.